Perhaps the best three days of (challenging) cycling I have ever done. Even a lousy photographer like me couldn't help but take some great pictures - it's paradise here. I should mountain bike more. 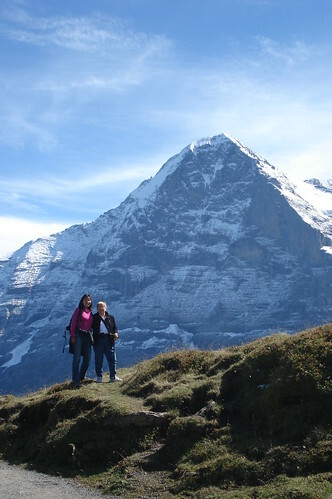 My mother is visiting from Canada, so we took a three day weekend to the car-free Swiss mountain village of Wengen – part of the unbelievably beautiful Jungfrau region – a UNESCO World Heritage Site and the most glaciated part of the Alps. While Doreen and my mom took cable cars, mountain trains and hiked – I mountain biked – with Martin joining me for the second and third day. Perhaps the best three days of (challenging) cycling I have ever done. Even a lousy photographer like me couldn’t help but take some great pictures – it’s paradise here. 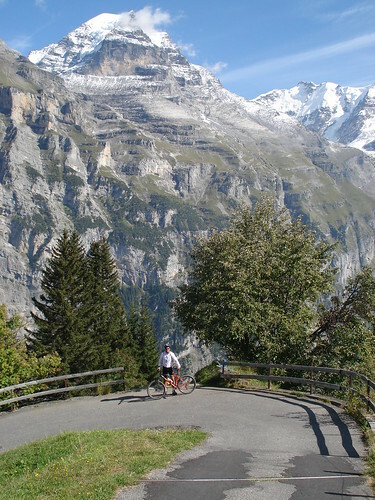 Starting in Lauterbrunnen, a big loop to the hotel in Wengen. 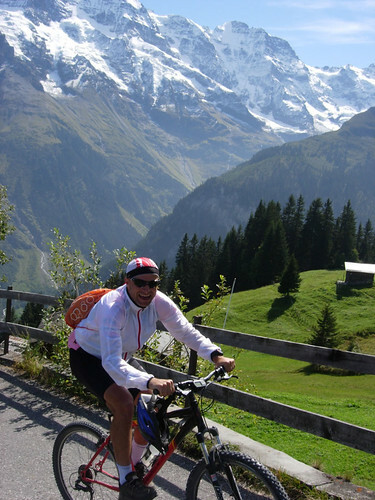 Passing through Grindelwald and climbing a very steep, gravel road under the Eiger up to Klein Scheidegg. 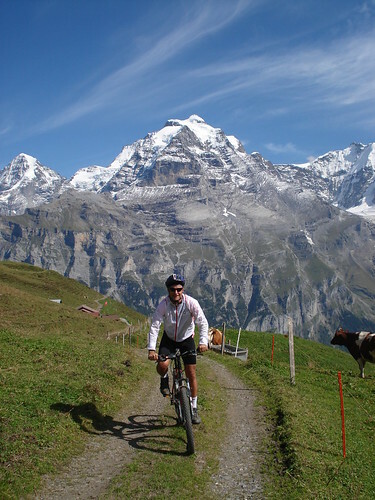 Then a fast descent into Wengen which is directly above the start point (reachable only by train). Thrilling. Lauterbrunnen up to Winteregg over to Car free Murren and up to Shiltalp. Descend back down to Stechelberg then through the waterfall filled valley to Lauterbrunnen. Perhaps the most beautiful ride I have ever done. Starting in Wengen following the Jungfrau marathon route towards Klein Scheidegg at 2,060 metres. Then up steep paths towards Eiger Glacier. Amazing. Martin is a far better technical descender than me. 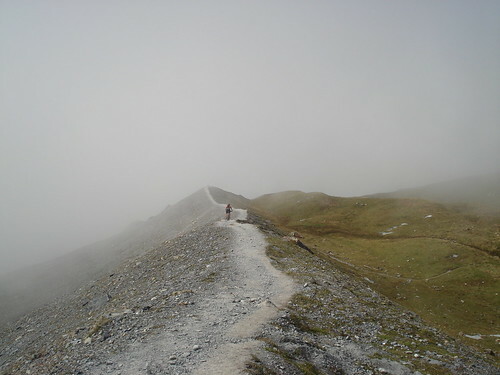 I walked this part (steeper than it looks and at about 7,000 feet) – and crashed later luckily avoiding any big rocks. Damn those are some nice pictures, I’m definitely missing out when I go to Geneva for work. Did you motionbased this ride? I hope you are healing up and back biking soon. I will add the motionbased files for these routes. Three absolutely amazing climbs. AM JUST DAMN ENVIOUS OF YOUR LOCAL SCENERY !! Amazing…atmosphere. Regards from Yogyakarta Indonesia.